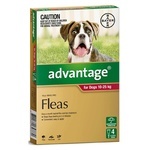 Fleas (Ctenocephalides felis) can be a major problem for dogs, cats and their owners. 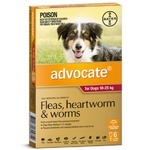 These blood-sucking parasites cause considerable discomfort for pets, leading to scratching, chewing, biting and restlessness. 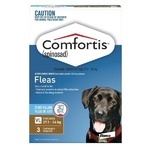 Comfortis™ is a no-fuss, no-mess way to protect cats and dogs from fleas for the whole month. 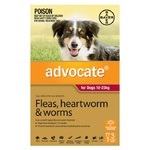 These convenient, chewable beef flavoured tablets provide fast-acting and lasting month long relief. 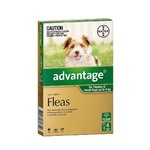 Comfortis™ is proven to rapidly kill fleas and control flea allergy dermatitis in dogs and cats. For a healthy pet and a happy home, monthly treatment with Comfortis™ should continue the entire year without interruption. As Comfortis™ is an oral product, there are no restrictions with regards to swimming or washing after treatment. Dogs or cats can be treated while wet and can be exposed to water immediately after treatment. Additionally, there is no requirement to exclude the dog or cat from access to any furniture or home fittings. Unlike spot-on treatments, Comfortis™ won’t rub or wash off and damage any surfaces or other materials in the home. 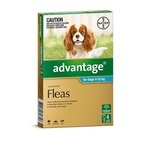 To minimise the likelihood of flea reinfestation, it is important to treat all animals within a household. 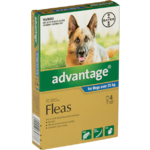 Where a heavy environmental infestation is present, the concurrent use of a registered environmental control product on areas such as bedding and carpet may facilitate more rapid resolution of the flea infestation. 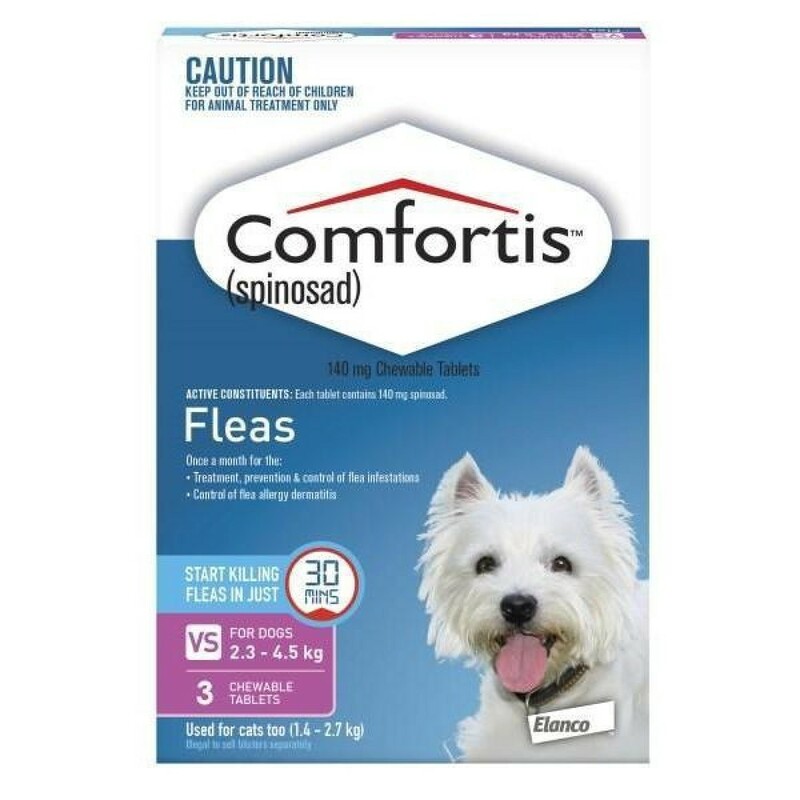 Comfortis™ rapidly kills fleas and is intended for the treatment, prevention and control of flea infestations and for the control of flea allergy dermatitis in dogs and cats for one month following a single administration. 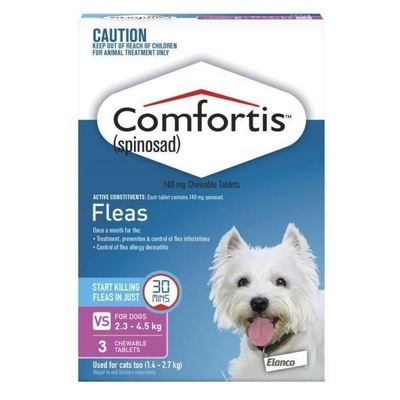 Comfortis™ is not recommended for use in puppies and kittens less than 14 weeks of age. 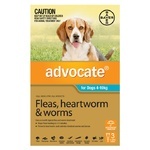 Comfortis™ is recommended for use in dogs and cats 14 weeks of age or older. Comfortis™ tablets are given orally, once a month at the recommended minimum dosage of 30 mg/kg body weight for dogs, and 50 mg/kg body weight for cats, as specified in the following tables: FOR DOGS *Dogs over 54 kg should be administered the appropriate combination of tablets. 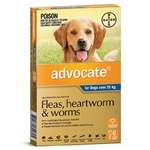 Comfortis™ Chewable Tablets should be administered with food for maximum effectiveness.